If you’re curious about the internals of Samsung’s latest flagship, the Galaxy S5, then the folks over at iFixit have exactly what you’re looking for. As with all Galaxy devices, the battery is user-replaceable and easy to access by simply removing the back panel. But what about the other components? Let’s take a look at just how easy it is to gut a Galaxy S5. A score of 5/10 means a middle of the road result in terms of repairability, which is a significant step back from the 8/10 iFixit scores of the previous two Samsung flagships, the Galaxy S4 and S III. 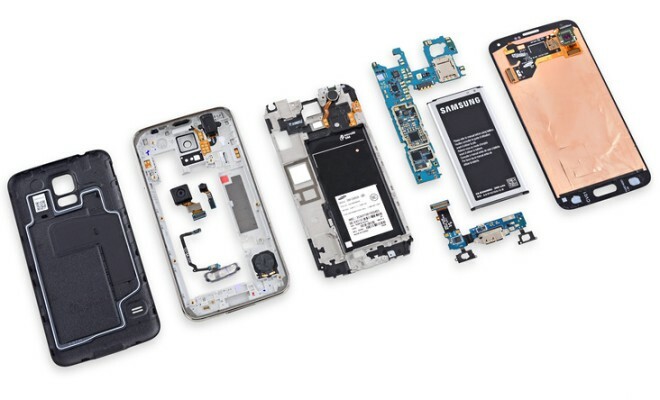 Check out the full iFixit Galaxy S5 teardown here.